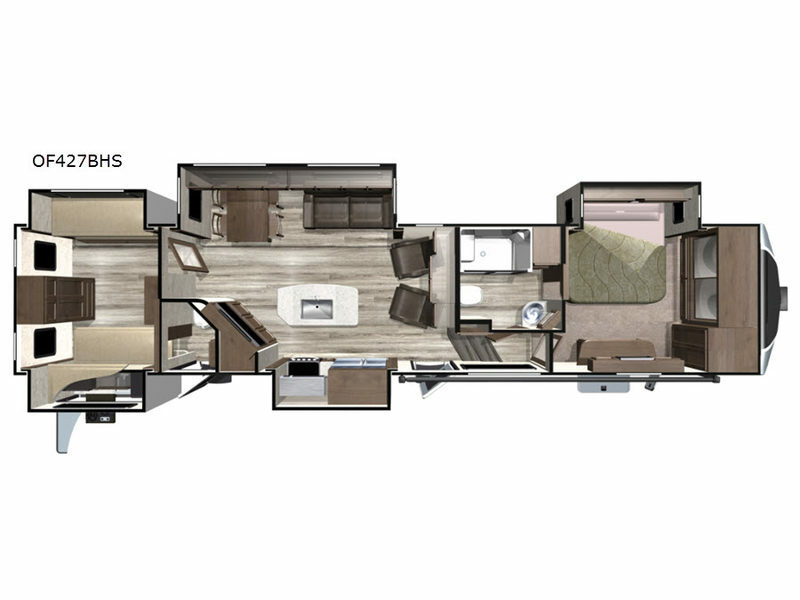 Envision all of the floor space in this Open Range thanks to the separate bunkhouse with a half bath for the kids, and your own master suite with dual access to the full bathroom, plus a main kitchen and living area with dual slide outs. Now imagine you are camping at your favorite state park with your family. 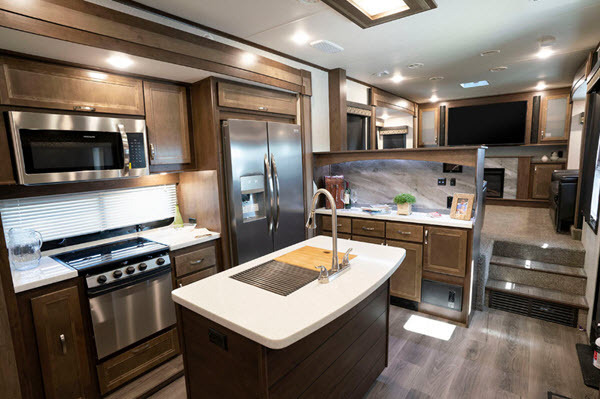 You can make a meal on the outside kitchen while watching the kids run around the campsite, or cook inside will all the appliances provided including a kitchen island for convenience. You might even decide to take a break while sitting on one of the two chairs or reclining in the theater seats. 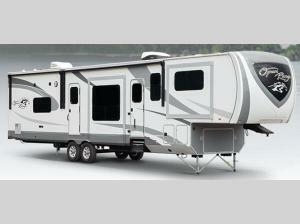 Once you see the five slide outs, you will know there is plenty of space for everyone and all your gear. 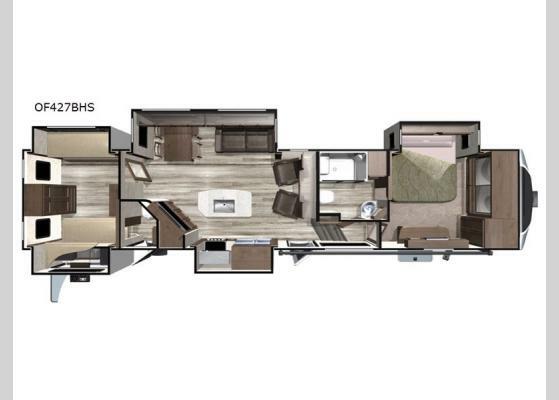 The Highland Ridge RV Open Range is designed for extended use during any season. 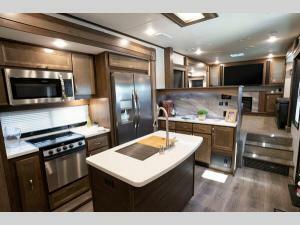 Each fifth wheel offers inside comforts such as stainless steel appliances, ball bearing full extension drawer guides, a motion sensor light in the bedroom and hallway, as well as a USB/12V charging port that charges your portable electronics even when you are not hooked up to a power source. You will experience a quick and easy way to set up your fifth wheel with the 6-Point automatic leveling system and JT Strong Arm stabilizers, plus the LCI Flex rubber-cushioned equalizer absorbs road shock and prevents damage on bumpy roads. Choose your favorite model today!